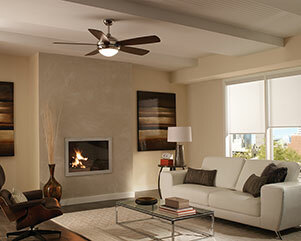 With a minimalist, contemporary design and six color/finish options, the Discus ceiling fan by Monte Carlo complements a wide variety of room styles. As part of Monte Carlo’s modern collection, Discus features a dual mount canopy and an integrated halogen downlight with a matte opal glass shade for functionality with flair. 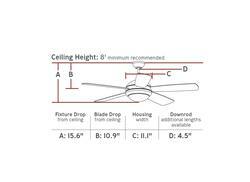 A pull chain controls this 3-speed fan, however a handheld or wall mount remote control is compatible and sold separately.